The Cake Network is one of the most popular poker networks online. It is also the 10th largest of all the poker networks and seems to be increasing in recent times with online poker rooms such as Doyles Room and Lock Poker increasing dramatically by adding some the best young online poker players to their roster. Doyles Room have added a few top poker players, the biggest being MTT specialist Chris Moorman (Moorman1). Lock Poker have also been on the prowl to add players to their roster. Adding a total of 13 new players in recent months. Stevie Devlin(AllinStevie) being the most well known. The Cake Poker Network is also one of the most if not the most trusted networks to play on. 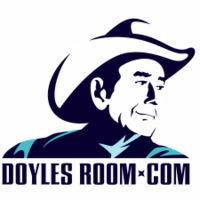 The fact the Doyle Brunson own room (Doyles Room) is hosted on it suggest that this is a network that can be trusted. All in all, the Cake Network is one of my favourite networks to play on. Soft opponents, great software, very trusted and some of the best tournaments that can be found online make the Cake Network very popular amoung the players that play there. After some descussion we decided the Doyles Room on the Cake Network is the best site to sign up to. It was close between Doyles Room and Lock Poker. However, with the options available on Doyles Room it was decided it was the best. Although Lock Poker is exually as good. Another plus was the fact that we at PokerNewsBoy can offer 33% rakeback at Doyles Room and unbeliavalable rake races to add if you follow the sign up instructions. Then you have the fact that Doyle himself can be found playing their and also gives players the chance to knock him out and profit in his weekly Bounty games. Then you have the best MTT player on the planet (Moorman1) to pit you skills against at the highest buy in tournaments. Taking all into consideration, Doyles Room is not only one of the best sites one the Cake Network, it is probably up their with the best online poker sites.